A few hours earlier, US Secretary of State John Kerry said that to avoid a military operation Syrian President Bashar Assad has a week to surrender control of “every single bit” of his stock of chemical weapons to the international community. “But he isn't about to do it and it can't be done,” he added, speaking at a media conference in London, as he was wrapping up his European tour in a move to win support for the Obama-proposed “limited” strike against Syria. The Russia-Syria deal: What it means and what now? 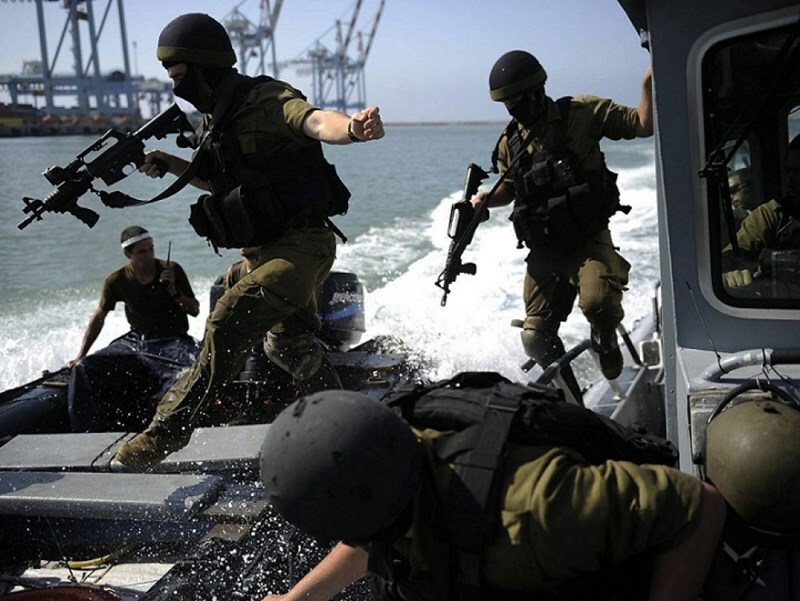 Russia's Deputy Defense Minister Anatoly Antonov summoned the Israeli and American military attachés for a reprimand following the launching of the Anchor missile in the Mediterranean last week, Russia's RIA-Novosti news agency reported. According to the report, Antonov demanded that Israel and the US refrain from military actions or exercises that "could have a negative effect on security in the region and the world." The meeting was held last Wednesday, a day after the test fire. Last Tuesday, shortly after Russia announced it detected the launch of two ballistic missiles from the central part of the Mediterranean, Israel's Defense Ministry issued a statement saying it successfully tested an Anchor target missile. Russia's report said the launch was detected at 9:16 am Israel time while the Defense Ministry statement said the test took place at 9:15 am. It was further stated that the test was successful and was conducted in the Mediterranean from Air Force field in central Israel. Syrian state sources said the missiles had fallen harmlessly into the sea and there were no signs of a missile attack or explosions in Damascus on Tuesday, Itar-Tass news agency said. US President Barack Obama may hold a degree as a constitutional lawyer, yet increasingly his warmongering behavior toward Syria reflects a rogue president who is apt to repeat the mistakes of his predecessor, George W. Bush, from whom Obama inherited two unfinished wars in the Middle East and a whopping 2 trillion dollar bill. According to the Los Angeles Times on Sunday, September 8, Pentagon is planning an intense three-days strike that involves strategic bombers, as well as five US missile destroyers currently patrolling the eastern Mediterranean Sea, to launch cruise missiles and air-to-surface missiles from far out of range of Syrian air defenses. Clearly, this is far from a "very limited" strike that the Obama administration has been selling to the public and includes "many more" targets than the initial list of 50 military targets. The question now is if Obama will proceed with this plan and give the go-ahead this week, or will he wait for the result of Congressional debate on the authorization for war which he himself has initiated, in the light of mounting congressional opposition that reflects the national sentiment against war? Both Obama and US Secretary of State John Kerry have hinted that they may go ahead even without a congressional approval, thus prompting the threats of impeachment by some members of Congress including the Republican Duncan Hunter, who has criticized US acting as "al-Qaeda's air force" since it is a well-known fact that the leading Syrian rebel groups have strong al-Qaeda ties and would be much strengthened as a result of a US attack aimed at depleting the Syrian regime's military capability. With the US Congress convening this week to debate the president's war plan on Syria, Obama hopes to generate more support through a televised address to the nation, which some analysts fear may be intended to short circuit the process and signal the start of the attack prior to either a congressional vote or the UN report on the August 21 gas attack in a Damascus suburb. Veering uncomfortably between contrasting choices, each of which carries certain pros and cons for Obama's as well as US's credibility, the White House is caught in the thorns of a policy dilemma that effectively make this week one of the most crucial weeks in Obama's presidency. Drawing a lesson from the Libya campaign, when the skeptical US public and Congress shifted in favor of the president's decision once the bombs started dropping, the administration is reportedly leaning in the direction of launching the attack and thus silence the congressional opposition. At the same time, given the risks of such a military gambit in Syria, including the threats of a wider war, extensive civilian casualties due to the proximity of military targets to civilian centers, etc., the Obama administration is contemplating a new UN initiative, reflected in Kerry's statement that the US may seek a new UN Security Council resolution on Syria. Kerry's statement, made in Europe, where there is considerable opposition to the war as clearly demonstrated at the G-20 summit in St. Petersburg last week, may reflect a step back from war in the face of growing domestic and international opposition. The benefit of a renewed effort at UN Security Council to tackle the Syrian crisis is that it compensates for the total absence of any legal authority for Obama's planned war on Syria. Even NATO, unlike the Libya campaign, has refused to back this plan, and henceforth a US attack on Syria would be universally condemned as illegal and contrary to the principles of international law. Of course, it is a sure bet that China and Russia will block any resolution that endorses military action on Syria, as they did with respect to the UK-led initiative two weeks ago. 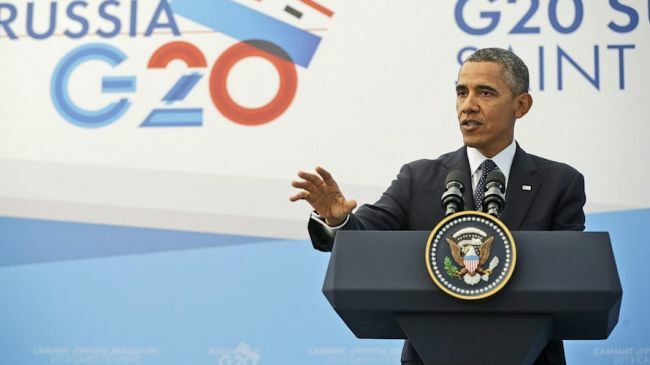 Still, the one positive result of the G-20 summit may have been the 20-minute bilateral meeting between Obama and Putin, who has insisted that without UN authorization any US action would be considered an act of "aggression," a view tacitly endorsed by UN Secretary General Ban Ki-Moon. With Moscow and Washington working together for months to bring about a Syrian peace conference in Geneva, coming back to the Security Council is a prudent step forward that can potentially yield positive results in terms of prioritizing the political process over the military option. In that case, the US may use its leverage of threat of military strike to push Russia and China to lean on Assad's regime for greater flexibility on the political and diplomatic front. War or diplomacy? Which path will the White House ultimately choose? This is an important question that will be cleared in the coming days. What is certain, however, is that the US military option is in full swing and the temptation to use it and thus change the military landscape in the Syrian theater of conflict may prove too great to hold back, particularly since Israel and the pro-Israel lobbyists are pushing hard for the US strike that, as stated above, appears to be imminent and much more comprehensive, albeit in a compressed duration, irrespective of the public opposition. 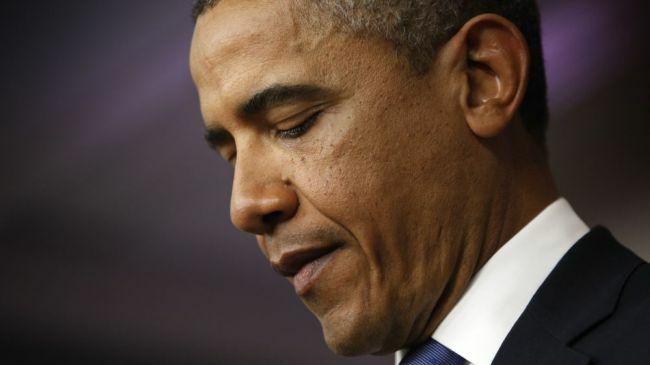 An American analyst foresees the impeachment of US President Barack Obama if he goes ahead with a plan to launch military action on Syria despite likely opposition by Congress. “The big danger is that Congress will say ‘no’ [to an Obama war authorization on Syria] and then Obama will proceed to bomb. If he does, he will be impeached for sure,” said Washington-based author and historian Webster Griffin Tarpley in a Sunday interview with Press TV. “They are waiting for an opportunity to bring him down,” he added. Additionally, he added, a large number of anti-war Democratic Party members in the Republican-controlled House of Representatives will make it very difficult for the war effort to win passage in the lower house of the US Congress. “Obama’s position in the House of Representatives, which is controlled by these hostile Republicans but it also has a large group of leftist anti-war type democrats, … is actually desperate,” said the American author. Tarpley further pointed to the declining influence of the main Zionist lobby group in the US, known as American Israel Political Action Committee (AIPAC), and expressed confidence that their lobbying campaign to win congressional approval of Obama’s war plan on Syria will fail. “The other thing is if AIPAC brings lobbyists, they will not be alone - believe me - in the halls of Congress. There will be dozens, scores, hundreds of peace activists in the halls of Congress,” according to the American historian. Washington doesn't merely lack the legal authority for a military intervention in Syria. It lacks the moral authority. We're talking about a government with a history of using chemical weapons against innocent people far more prolific and deadly than the mere accusations Assad faces from a trigger-happy Western military-industrial complex, bent on stifling further investigation before striking. After the string of allegations by these NGOs, the Israeli military even hit a UN headquarters(!) in Gaza with a chemical attack. How do you think all this evidence compares to the case against Syria? Why didn't Obama try to bomb Israel? In the early 1950s, the Army set up motorized blowers on top of residential high-rises in low-income, mostly black St. Louis neighborhoods, including areas where as much as 70% of the residents were children under 12. The government told residents that it was experimenting with a smokescreen to protect the city from Russian attacks, but it was actually pumping the air full of hundreds of pounds of finely powdered zinc cadmium sulfide. The government admits that there was a second ingredient in the chemical powder, but whether or not that ingredient was radioactive remains classified. Of course it does. Since the tests, an alarming number of the area's residents have developed cancer. In 1955, Doris Spates was born in one of the buildings the Army used to fill the air with chemicals from 1953 - 1954. Her father died inexplicably that same year, she has seen four siblings die from cancer, and Doris herself is a survivor of cervical cancer. The savage violence of the police against Occupy protesters in 2011 was well documented, and included the use of tear gas and other chemical irritants. Tear gas is prohibited for use against enemy soldiers in battle by the Chemical Weapons Convention. Can't police give civilian protesters in Oakland, California the same courtesy and protection that international law requires for enemy soldiers on a battlefield? Napalm is a sticky and highly flammable gel which has been used as a weapon of terror by the U.S. military. In 1980, the UN declared the use of napalm on swaths of civilian population a war crime. That's exactly what the U.S. military did in World War II, dropping enough napalm in one bombing raid on Tokyo to burn 100,000 people to death, injure a million more, and leave a million without homes in the single deadliest air raid of World War II. 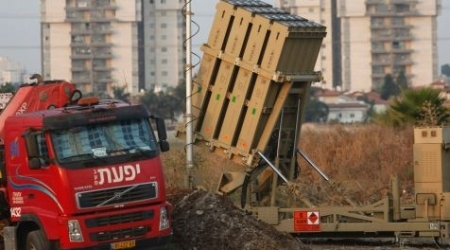 Israeli occupation set up an Iron Dome missile defense system to the west of occupied Jerusalem Sunday, an AFP correspondent said. Last month, a battery of the mobile system was deployed in the (Tel Aviv) area, pointing towards Syria. Meanwhile, the inner government forum known as the Diplomacy-Security Cabinet was convened Sunday afternoon to discuss the Syria situation. Speaking at a meeting earlier on Sunday, Netanyahu described (Israel) “an island of tranquility, quiet and security” amidst “the storm raging around us,” without explicitly mentioning Syria or its ally, Iran. Syrian President Bashar al-Assad has rejected accusations that he was behind a deadly chemical attack in August, the American CBS television network says. In an interview with the network's Charlie Rose, Assad denied being involved in the controversial attack last month. During the interview to be aired on CBS on Monday, the Syrian president also called on US lawmakers to reject a military strike on his country, warning Washington of a possible retaliation. "The most important thing, as he says, is that 'there's no evidence that I used chemical weapons against my own people'," he added. 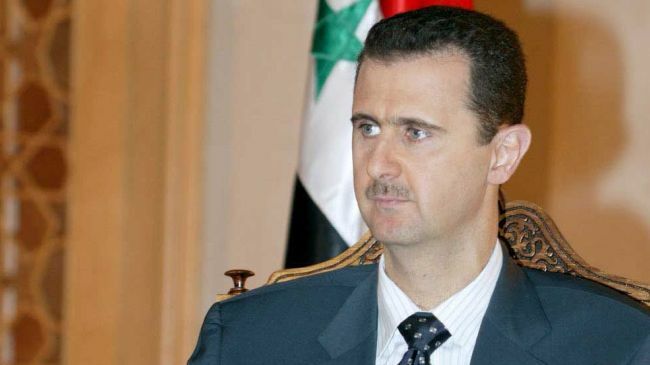 The recent comments by Assad come as Washington and its allies are planning a military intervention in the Arab country, accusing Damascus of being responsible for the attack. The recent war rhetoric against Syria first gained momentum on August 21, when the militants operating inside the country and its foreign-backed opposition claimed that over a thousand people had been killed in a government chemical attack in the Damascus suburbs of Ain Tarma, Zamalka, and Jobar. Damascus categorically rejected the accusation, but a number of Western countries, including the US, France, and the UK, quickly started campaigning for war. An American analyst says the administration of US President Barack Obama has set up the “Neo-Axis of Evil” along with Britain, France and Israel, Press TV reports. “The Neo-Axis of Evil is now the Obama Administration (America is not behind him), along with pitiful the British and French regimes (we don't hold the people responsible) are now front and center, along with the Zionist regime,” Jim W. Dean said. He added that as a single group, they pose the “biggest national security threat” to all nations in the world. “This has stimulated conversation of a new possible world alignment,” the commentator said. He said the Obama administration concerns over the death of civilians in Syria are “falling on deaf ears” as they have shown no real concern over the killing of over 100,000 people while 8 million Syrians are refugees and most of whom have lost everything but their lives. “These Syrian people have been nothing more than collateral damage, the view you would expect from people with icebergs for hearts,” Dean said. He emphasized that the US government has been supporting the biggest ongoing terrorist operation in modern times. “By using the Qataris and now Saudi Arabia as a thin veil has fooled no one. It also has been an international crime against humanity which deserves the appropriate punishment,” the analyst stated. “We are in a very dangerous time. Those of you in the warmonger countries with Zionist lobbies at the throats of your legislatures, you are running out of time,” he added. Damascus has denied the accusations, saying the chemical attack was carried out by the militants themselves as a false-flag operation. On August 31, US President Obama said he had decided that Washington must take military action against the Syrian government, which would mean a unilateral military strike without a UN mandate. Obama said despite having made up his mind, he will take the case to the US Congress. But he added that he is prepared to order military action against the Syrian government at any time. 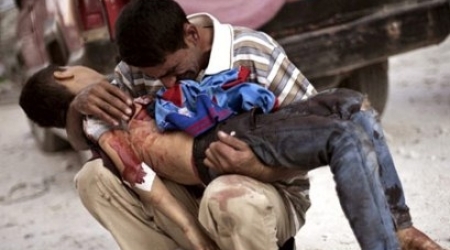 Syria has been gripped by deadly unrest since March 2011. According to reports, the Western powers and their regional allies -- especially Qatar, Saudi Arabia, and Turkey -- are supporting the militants operating inside Syria. 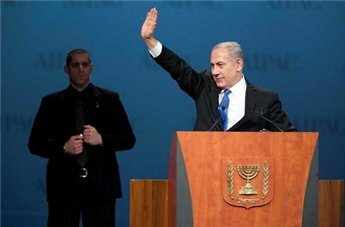 Prime Minister Benjamin Netanyahu has spent the past few days talking to congressmen, US administration officials and members of AIPAC arguing in favor of US military action against the Assad regime, Israeli officials close to Netanyahu confirmed. Israel's designated ambassador to the US Ron Dermer is also engaged in diplomatic efforts to that end in Washington. 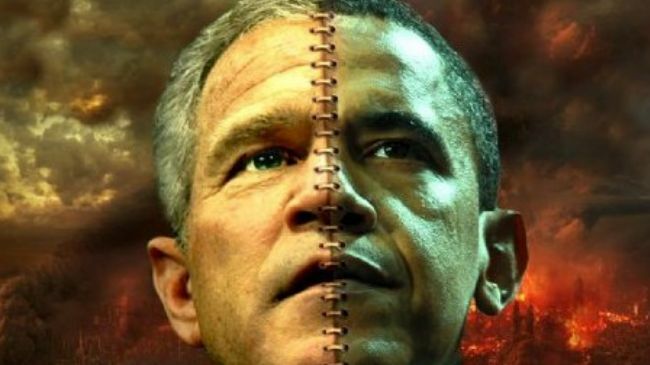 A prominent analyst says by falling into the Zionist trap of war on Syria, US President Barack Obama will provoke an "irreversible crisis" in the Middle East, putting another stain on his criminal track record, Press TV reports. In an article published on Press TV website on Saturday, Iranian author and academic Dr. Ismail Salami said the Zionist lobby, including the American Israel Public Affairs Committee (AIPAC), Anti-Defamation League (ADL) and the Republican Jewish Coalition (RJC) are behind Obama’s war campaign against Syria. 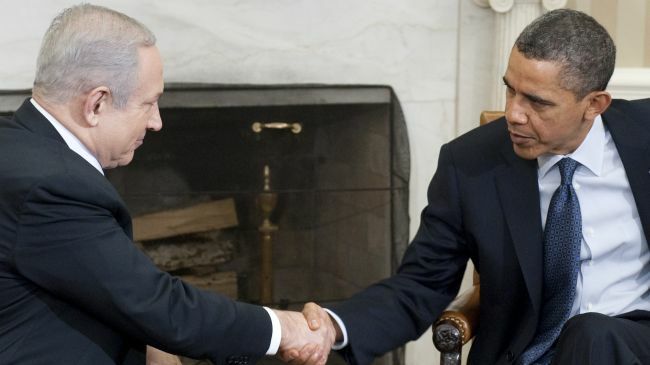 “Obama had better think twice before harkening to any call for war coming from the Zionists. The list of his crimes is getting thicker and thicker every day and the Zionist rope he is holding onto is a rotten one indeed,” he wrote. The war rhetoric against Syria intensified after foreign-backed opposition forces accused the government of President Bashar al-Assad of launching the chemical attack on militant strongholds in the suburbs of Damascus on August 21. Damascus has vehemently denied the accusations, saying the attack was carried out by the militants themselves as a false-flag operation. On August 31, Obama said he has decided that Washington must take military action against the Syrian government, which would mean a unilateral military strike without a UN mandate. Obama said that despite having made up his mind, he will take the case to US Congress. But he added that he is prepared to order military action against the Syrian government at any time. On Wednesday, the US Senate Foreign Relations Committee voted 10-7 in favor of a resolution authorizing the Obama administration to attack Syria. Obama administration officials have embarked upon an extensive lobbying campaign on Capitol Hill. Some 250 AIPAC leaders and lobbyists are reportedly planning to storm the halls on Capitol Hill next week to persuade the US lawmakers to vote for a draft resolution authorizing strikes on Syria. “Sardonically, when Obama accepted the Nobel Peace prize in 2009, he had authorized more drone attacks than George W. Bush approved during his entire presidency,” Salami wrote. The United States often uses its assassination drones to hit targets in Pakistan and some other countries including Yemen and Afghanistan. Washington claims its drone strikes target militants; however, casualty figures show that Pakistani civilians are often the victims of the non-UN-sanctioned attacks. The UN says the US-operated drone strikes in Pakistan pose a growing challenge to the international rule of law. 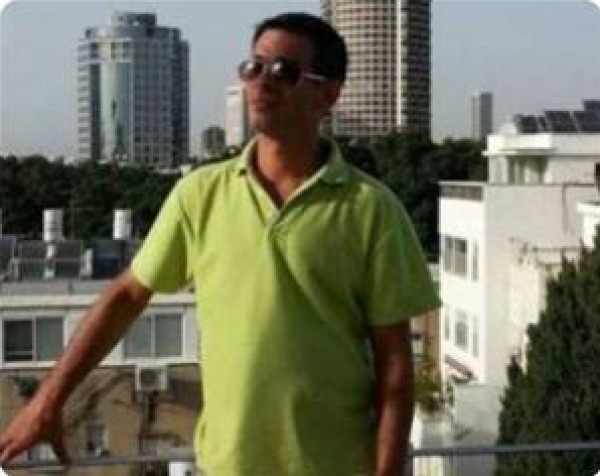 A Palestinian refugee was killed on Saturday in Syria's Yarmouk refugee camp by the Syrian regular army, the Workforce for Palestinians group in Syria reported. It said in a statement that Mohammed Kamal El-Aidi died shortly after he sustained critical wounds by a sniper bullet near Sabina road in the Yarmouk refugee camp. The group said that Yarmouk refugee camp in Damascus witnessed clashes between Syrian regime forces and rebels. All main entrances to the camp have been closed for over 55 days and there has been no electricity for four months. the group warned of a serious humanitarian crisis as All hospitals and medical centers in Yarmouk have ceased to operate due to a lack of equipment, military attacks and robberies, the group added. Residents complain of the closure of the dispensaries and UNRWA schools that raised fears among families concerning the future education of their sons. According to the group, citizens of Khan El-Sheikh's refugee camp have been suffering from bad economic conditions due to the lack of food, medicine, and fuel. A state of tension spread among residents living in the Jarmana refugee camp due to the deterioration of the security condition in the areas around the camp. A hypocrite’s work is never done. Thus the need for our Nobel Prize bearing Commander in Chief to execute a needless and devastating war of aggression on a country preoccupied by its own civil war. He should pin that prize to his lapel when he announces his surgical strike on Syria. Let’s be clear: wars of aggression are, by the standards we set at the Nuremburg Nazi trials, the “supreme international crime.” Crimes for which Nazis were put to death. criminals. He’ll have good company in the pantheon of imperial lore. Of the numberless hypocrisies of the administration, this one is particularly crude. The White House claims to need to punish Syria’s Bashar al-Assad government for the unproven use of chemical weapons (sarin) in Ghouta. 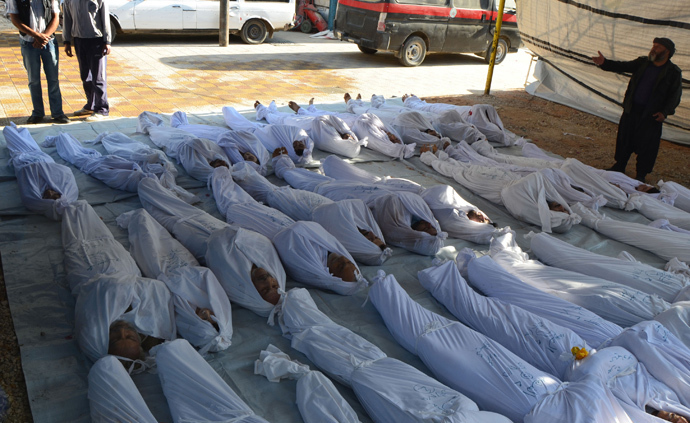 Not only does this atrocity, committed by unidentified actors in a civil, ethnic, sectarian, and proxy conflict within Syria, somehow make Syria a national security threat to the United States, but it also suggests we deplore the use of chemical weapons. Neither is remotely true. I think the former could be true if we do bomb Syria, as it may incite Syrians to plot against the empire that slaughtered its men, women and children. The latter cannot be true by virtue of the fact that chemical weapons are a primary element in our military arsenal, and have been repeatedly handed over to unreliable allies or deployed ourselves, against Vietnam most notably, but recently against Iraq, Afghanistan, and Libya. The author of the August 21st attack has yet to be identified. Suspects include Syria, one of the rebel groups, Saudi Arabia, and Israel. The White House report offered plenty of unverified claims said to be drawn from “streams of intelligence.” Nobody outside the beltway bubble is convinced. We can, however, have “high confidence” in our assessment that the US will use chemical weapons itself if it attacks Syria. At least three sources of American firepower potentially threaten to deposit a destructive payload of depleted uranium on Syrian society and soil should we attack. Destroyers in the Eastern Mediterranean are likely to fire Tomahawk missiles, which have long been rumored to contain depleted uranium, either in their tip or wing. 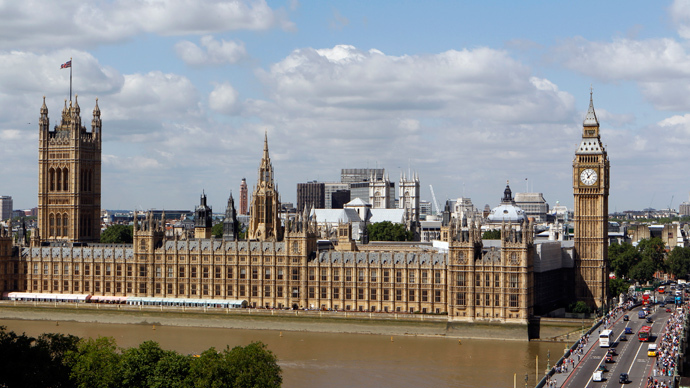 However, this has been disputed by the International Coalition to Ban Uranium Weapons (ICBUW). At the very least, Naval combat crafts are equipped with anti-missile Gatling guns that use shells with tungsten or depleted uranium. This has been conceded by the military itself. Likewise, A-10 anti-tank aircraft are known to use depleted uranium bullets. In any case, we’ve left enough in the ground in Iraq, Libya, and elsewhere for some viable case studies. Naturally, the development of leukemia in 76% of mice injected with DU, a study conducted by our own Armed Forces Radiobiology Institute, has been yawningly ignored by the Pentagon, although there is some suggestion that the upper echelons of international power have suppressed the growing movement to ban depleted uranium. The courageous claimant here is former WHO scientist Keith Baverstock, who eloquently concluded that, “politics has poisoned the well from which democracy must drink.” The wells from which multitudes of Arabs must drink, too. But DU is only the leading villain in an ensemble cast of malign characters. Alongside it one can observe the flesh-eating effects of white phosphorous ‘shake-n-bake’ bombs, napalm and “mark 77 firebombs,” a mix of kerosene and polystyrene similar to napalm, all used to great effect in Iraq. Largely owing to our commitment to chemical weapons, internationalist efforts to ban WMDs in the Middle East have met with typical disinterest. U.N. Security Council Resolution 687 twists in the wind. Agreed to in 1991 to provide a legal umbrella for the U.S. attack on Iraq, it calls for a WMD-free zone in the Middle East and the banning of chemical and biological weapons. Naturally, the looming regional hegemon Israel is the obvious roadblock to the realization of this initiative. In a forgotten instance of considerable irony, Syria proposed the same concept to the Security Council with a draft resolution in 2003, but then U.N. ambassador John Negroponte noted that we might consider it, but then hysterically added-as if snapping to his senses-that this didn’t mean we would “adopt it, embrace it or endorse it in any way, shape or form.” In other words, best to shelve it with all the other useful ideas the U.S. has nixed since the founding of the U.N. If you’re looking for a link between our degraded civil rights and our depleted uranium, look no further. There it is, in the White House report and its dearth of actual evidence. If only they had added an addendum with the dozens of YouTube videos that factor heavily in their portfolio of supposition. But what reason is there, truly, for yours or my indefinite detention, for the continuous invasion of our privacy, the usurpation of legislative power (the people’s tribune) by that of the executive (the ghost of monarchy), and the evisceration of the sovereignty of other nations like Iraq, Libya, Afghanistan, and soon Syria? Whether shot from ships or fired from jets, depleted uranium bullets and shells will strike innocent targets with the same fact-less impunity with which our rights are denied. We live in a counterfactual epoch, where the shrill presence of conjecture disguises the voluminous absence of evidence. Hypocrites lie, victims die. Dozens of people participated Saturday in a rally in Jenin in solidarity with the Syrian people and against a US military strike against Syria. Participants raised Syrian and Palestinian flags and carried signs denouncing US and foreign intervention in that Arab country urging the world to stand against an attack on Syria to spare innocent people the hardships of war. European Union foreign ministers on Saturday called for "a clear and strong response" to a chemical weapons attack in Syria last month blamed on the Damascus regime. Speaking after the bloc's 28 ministers held talks with US Secretary of State John Kerry, the EU's foreign policy chief Catherine Ashton said: "We want to see a clear and strong response. US President Barack Obama has failed to rally international support for conducting military strikes on Syria after two days of lobbying in Russia. Obama, who arrived in St. Petersburg on Thursday to attend the Group of 20 summit, could not persuade foreign leaders to support his war plans as they urged him not to launch any attack without the United Nations’ permission. During a long debate, Obama and his Russian counterpart Vladimir V. Putin each argued their positions on the issue. Putin argued that a majority of the leaders, including the leaders of China, India, Indonesia, Argentina, Brazil, Italy, Germany and South Africa, oppose a military strike independent of the United Nations. Not only did the Russian president oppose military action against Syria, but he also rejected Washington and its allies’ allegations that the Syrian government used chemical weapons in an attack last month. The only members of the Group of 20 nations which supported Obama were Canada, France, Saudi Arabia and Turkey, Putin added. Nevertheless, Obama’s national security adviser, Susan Rice, said Australia, Britain, Italy, Japan, Spain and South Korea could also be added to the list of US allies supporting an attack on Syria. The US president’s failure to rally international support for his war plans against Syria will make it even more difficult for him to convince US lawmakers and voters to support a strike on Syria. Obama himself said that he had a “hard sell” and that he might not succeed in winning over the US public which, according to polls, still opposes a strike. Obama said that he would lay out his case during an address on Tuesday before Congress votes on a resolution authorizing his administration to attack Syria. According to a whip count by Think Progress, an overwhelming majority of the members of the US House of Representatives are either undecided or likely to vote against a US attack on the Middle Eastern country. An American national security official has reportedly outlined Washington’s war strategies for Syria, saying the US administration is preparing to use B-2 and B-52 bombers for a potential military strike against the country. President Barack Obama’s national security team is preparing for a “significantly larger military attack than most had anticipated,” ABC News reported. 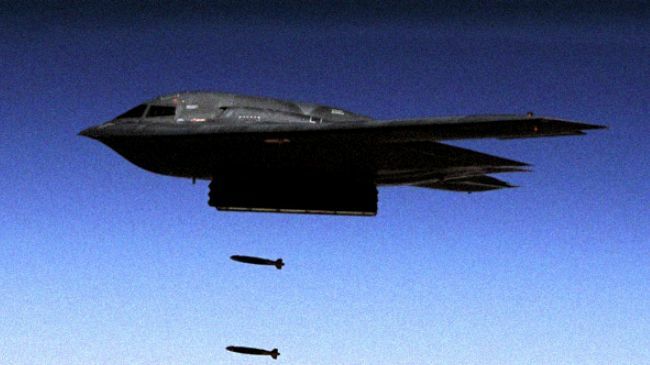 “The air campaign which is expected to last at least two days will potentially include an aerial bombardment of missiles and long range bombs fired from B-2 and B-52 bombers flying from the United States,” according to the ABC News report by Jonathan Karl. “That in addition to a relentless assault of Tomahawk missiles fired from those four Navy destroyers in the eastern Mediterranean. Those ships are loaded with nearly 200 missiles, plans call for firing the vast majority of them,” it added. 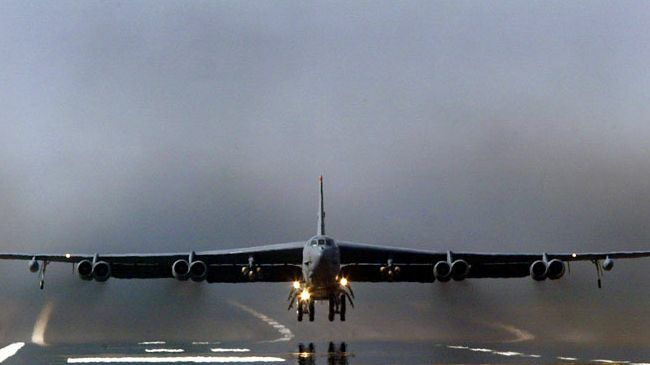 In an interview with CNN, a US official also characterized the long-range bombers as options. "You can employ stand-off weapons from an aircraft, just as easily as from a ship or submarine. Aerial assets can be used from a distance," he said. 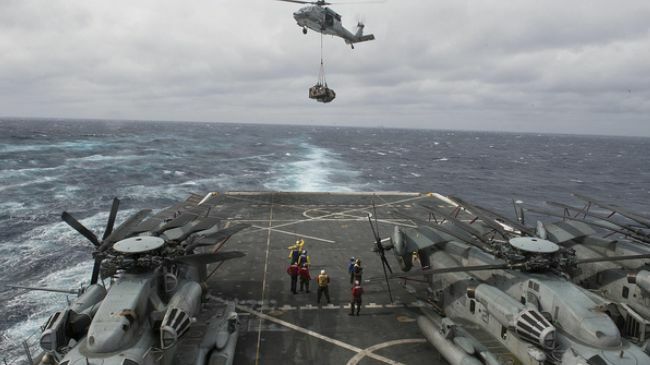 Other reports also indicated that the US military was preparing to employ greater firepower to reach shifting military targets. “The revised options under development include the use of Air Force bombers to supplement US destroyers in the Mediterranean,” The Wall Street Journal said. The B-2 and B-52 bombers are equipped with joint air-to-surface missiles, designed to destroy both mobile and fixed targets. 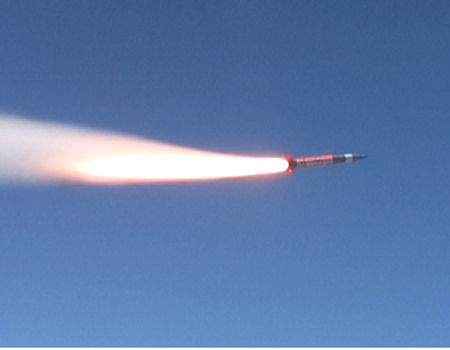 The missiles' primary advantage is that they allow pilots to operate outside the lethal range of most hostile air defense systems.